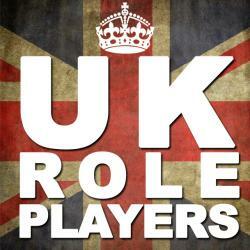 UK Role Players was a website for the UK role playing community started in 2003 by Dave McAlister. It closed its doors on its 15th anniversary in 2018 for a variety of reasons. Unfortunately, the only material that can still be obtained is that written by Dave himself. If you are interested in obtaining any of this please contact him through his DnD5e.info website. Logo by Darran Simms. Banner by Jonny Gray.